Strolling around Chisinau, we have come across several reminders that there was once a sizeable Jewish population in Moldova. 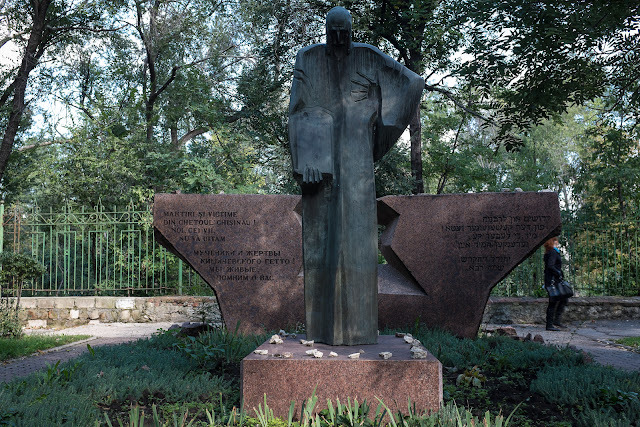 According to a page about Chisinau in the Virtual Jewish Library, at the start of the 20th century, 40% of the population of Chisinau was Jewish. After the 1903 and 1905 pogroms, Jews began to immigrate to the Americas, but on the eve of the Holocaust, there were 70,000 Jews in Chisinau. 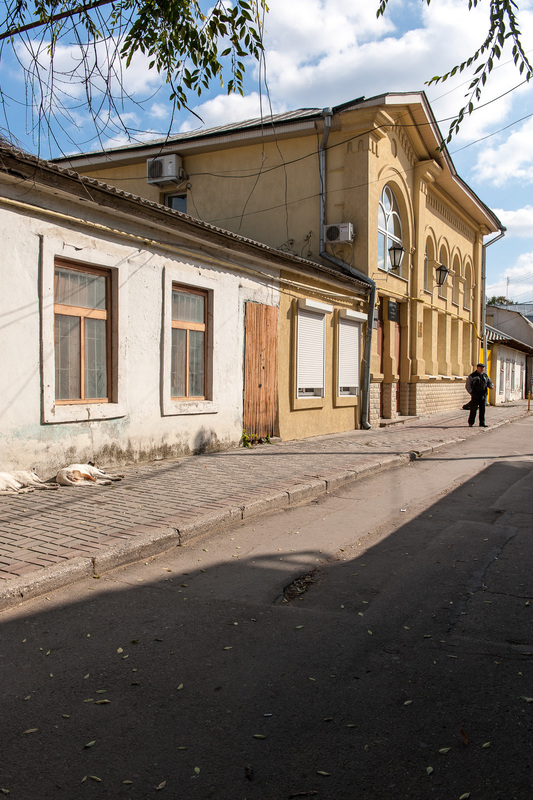 In July 1941, Chisinau was occupied by Nazi and Romanian forces who forced Jews into a ghetto. The above monument, on Jerusalem Street, marks the place of the Jewish Ghetto. 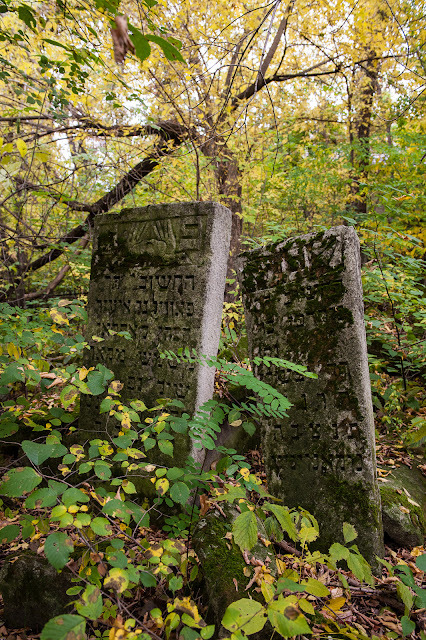 In 1947, only 5,500 Jews remained alive in Chisinau. "The Jewish population of Moldova has decreased substantially since independence  due to the high percentage of elderly Jews and high levels of immigration, predominately to Israel." 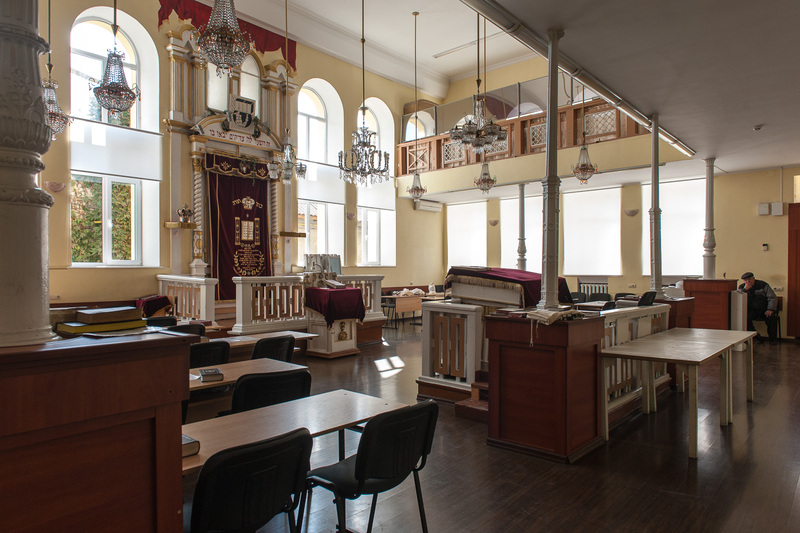 In 2012, the population of Jews in Chisinau numbered 4,000 (less than 1% of the total population of Chisinau). Many are elderly and live in poverty receiving a pension of about $10 per month. During its most vibrant, pre-Soviet, pre-holocaust, pre-Soviet deportation years, Chisinau had 70 synagogues. Now, there is one functioning synagogue that was built by the glass-blowers' guild (glaziers) in 1910. 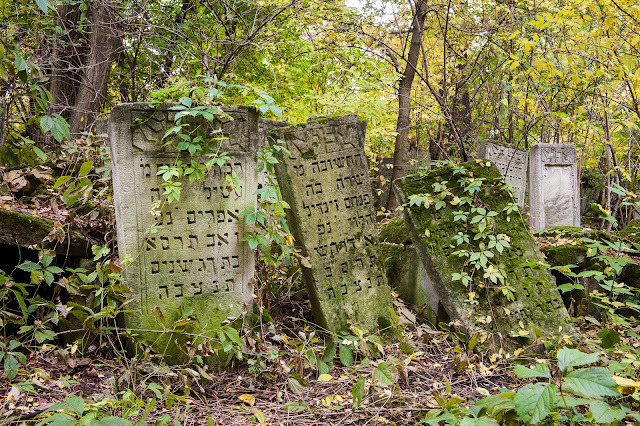 Another landmark of the population that was is the Jewish Cemetery. The original cemetery, now a park, was established in the 18th century. The present Jewish Cemetery dates to sometime in the 19th century. 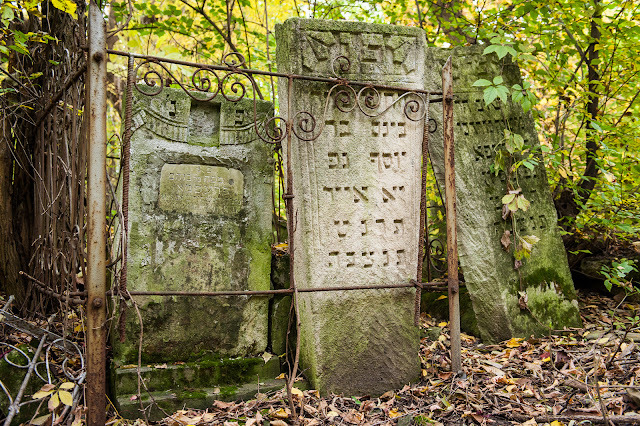 Entering the Milano Street Jewish Cemetery is much like entering an archaeological site that hasn't yet been discovered. Following the path from the entrance gate, it is obvious that the cemetery is still functioning with some recent additions, but away from this main path, the graves/tombs seem forgotten. In the older sections, the landscape is overgrown threatening to conceal the oldest tombs. There is a wide swath of very old tombstones that have been jumbled by mother nature and by episodes of vandalism. I wonder if anyone knows who these people were. 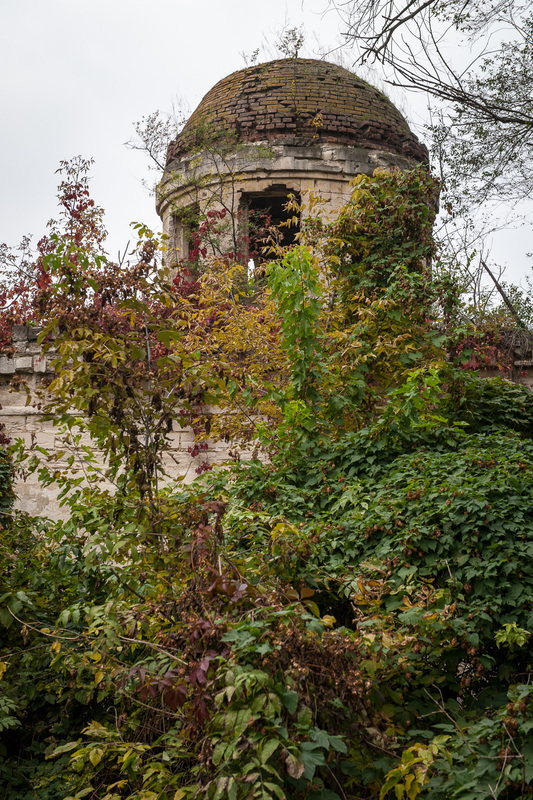 Nearby we stumbled upon the 19th century funeral synagogue in ruins due to neglect and vandalism. 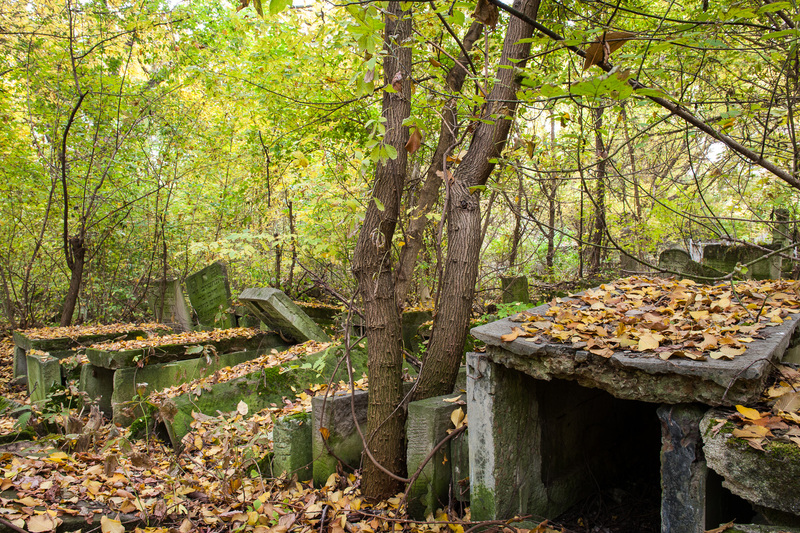 While Dan and I were making our way through this cemetery jungle, a group of women purposely marched in and found their way to an older gravesite. They spread out in a circle around the tomb, lit candles, and sang. Some do remember those that are no more.